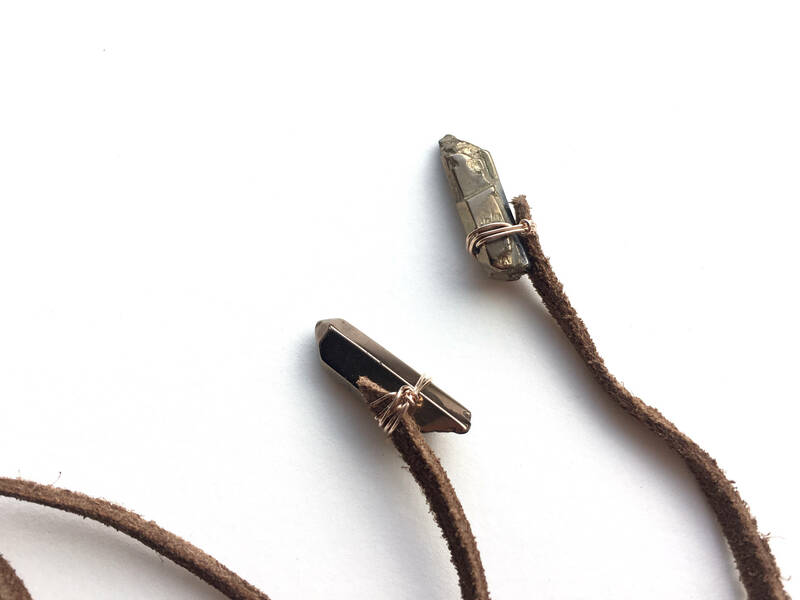 A single, wire wrapped quartz stone hangs at each end of this brown suede multi-wear wrap. 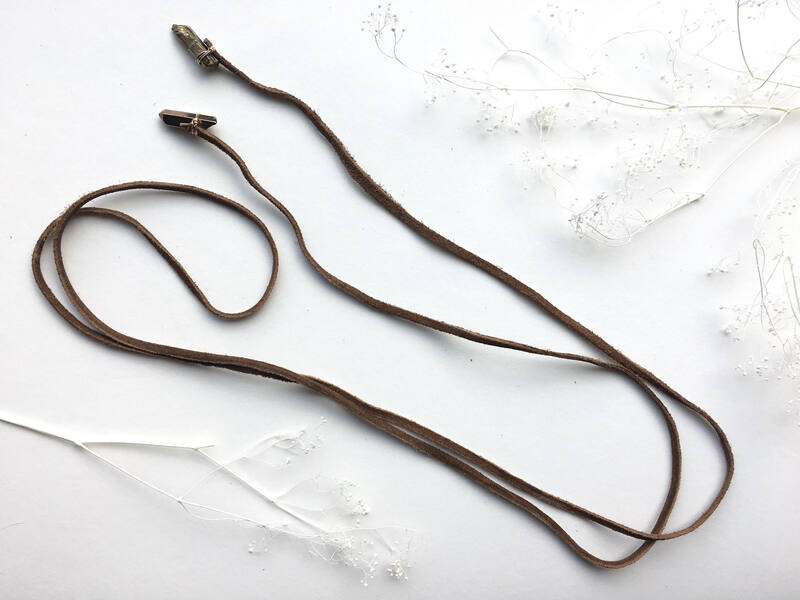 You choose between 14k gold filled, 14k rose gold filled or sterling silver wire. Each stone is heat-coated in a warm brown luster, polished and beautifully smooth. Each wrap is approximately 75" in length. You can always request custom lengths, just message me! 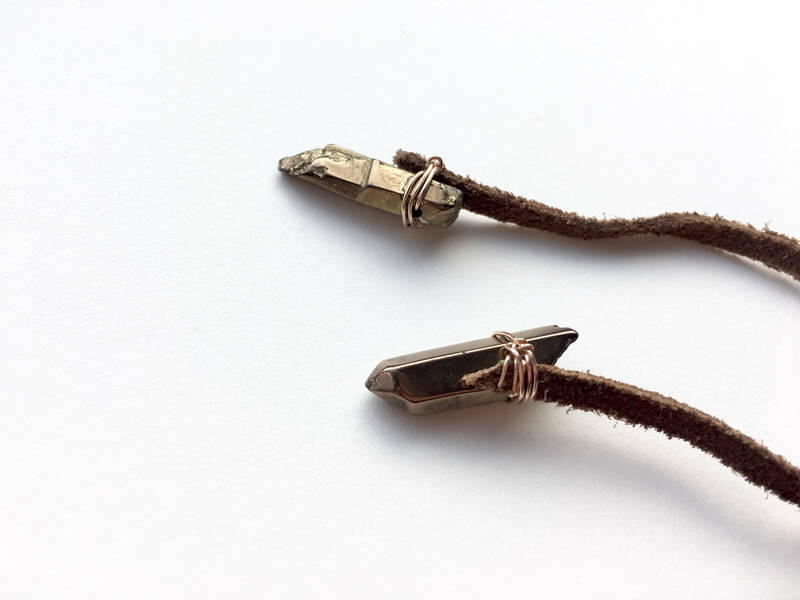 Quartz opens the mind to new views, encourages heightened energy, and protects against the negative. 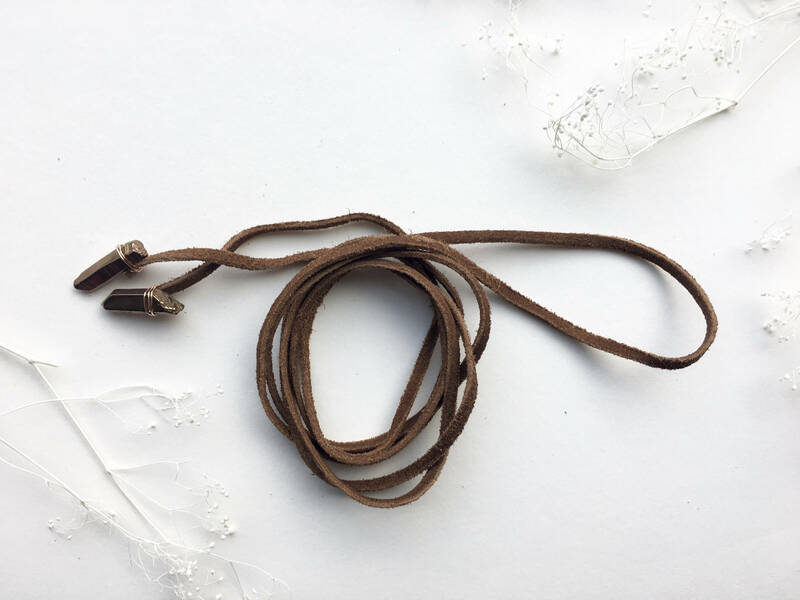 Wear this wrap as you venture through life, accepting challenges with insight and strength on your side. *Because these stones are raw cut pieces, each piece is truly unique. The color and general aesthetic will remain across all pieces, but stone size and shape may vary.